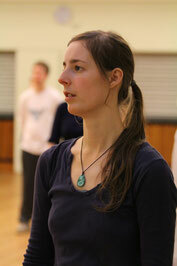 Rachael is a 16th generation daoist disciple of Master Yuan Xiu Gang and Wudang San Feng Pai. She was born in Edinburgh and trained first as a yoga teacher alongside studying taiji, qi gong, zen buddhism and shamanic practices. 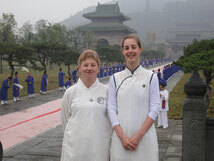 Sandie Benzie is an assistant teacher in the Taiji for Over-50s class and has an extensive background teaching karate as well as visiting Wudang twice with the Soen Ren School in the last few years to work on her Taiji, Qi Gong and weapons skills.